Franny’s faithful Lab assistant, Igor, has swallowed a doomsday device that is ready to go off at any moment! For a regular scientist, it might seem like there’s only one way to get the device out—um...make that two ways. 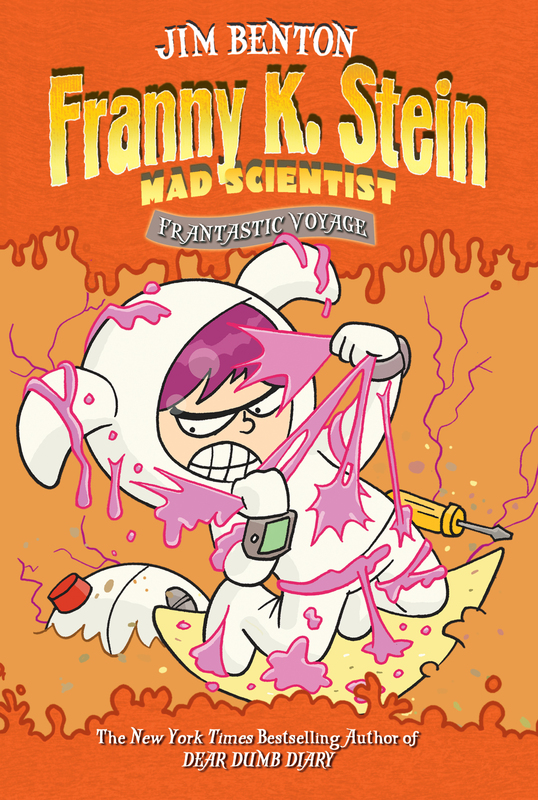 But Franny K. Stein is no ordinary scientist, so she concocts her own way to get the device back and save her friend. With her miniaturization machine, Franny shrinks herself to the size of a pin and goes on a field trip like no other...through the body of a ticking time-dog! Fasten your seat belts, it’s going to be a bumpy ride!